Managing daily data centre infrastructure operational challenges associated with complex technology and multi-vendor relationships can be frustrating and time-consuming, depriving you of precious time to focus on what is important. Clients are challenged with maintaining a full range of data centre infrastructure while addressing budget pressures, critical project deadlines, and shortage of skilled resources. Opting to outsource the facilities management of your entire data centre environment, or parts thereof to a trusted service provider is a smart alternative. Workspace Technology’s core business is the Design, Build & Management of mission critical and data centre environments. With an extensive level of in-house expertise we are best positioned to provide ongoing site facilities management of your data centre. Workspace Technology provides a single-source partnership approach maximising reliability and availability of data centre assets. Planned preventive service activities tend to be targeted on core plant such as chillers or generator systems. Specialist data centre Facilities Engineers can complement PPM servicing by providing regular site visits to perform general infrastructure inspection, adjustments, lubrication and periodic testing. Depending on the nature of the data centre the recommended attendance frequency may range from a daily, weekly, monthly or quarterly. 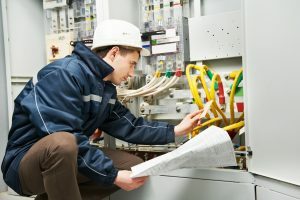 Typical Onsite Facilities Engineers' activities will incorporate inspections, lubrication and adjustments of items such as Fresh Air Ventilation systems, Fire Dampers / PRD Damper Systems, Aisle Containment / Access Doors & Emergency Lighting and Fittings. Our approach to the delivery of a whole life service is to manage mission critical infrastructure assets in a way that provides maximum value and cost effectiveness for the lifetime of the data centre facility. This requires decisions across the design, construction, operation and maintenance and use of the data centre and asset systems that fully considers potential future requirements and circumstances, as well as whole life cost implications and not just the immediate condition needs and budget constraints. We offer a range of Facilities Management and audit services. Asset Portfolio Profile & Health - Lifecycle asset management is driven by knowing asset types. We can help optimise spend across your entire portfolio and make informed decisions based on energy efficiency, I.T density demand changes, condition, age, life and criticality in-line with asset management plans. Optimal Lifecycle Programmes - As part of Workspace Technology’s comprehensive Mission Critical Facilities Maintenance Service offer we would include a blend of services in a way that provides the maximum system availability, value and cost effectiveness for the lifetime of the data centre including, Planned Maintenance, Test and Inspection, Proactive Maintenance, Optimisation & Energy Management, Lifecycle Programmes, Capital Project Delivery. As part of our maintenance services Workspace Technology provides options for dedicated site spaces in order to help improve meantime to repair figures. We can also provide enhanced asset management and auditing of site spares to ensure these are properly documented, labelled and stored ready for use. Workspace Technology can management spares replenishment as part of the regular site facilities management tasks. For more information on our full range of Facilities Management and Maintenance & Support Services please contact our sales team on 0121 354 4894 or send us a message.